HUBER HEIGHTS — The search for a new Superintendent of the Huber Heights City Schools began in earnest this week as representatives of the district’s search firm held several focus group meetings. Christopher S. Mohr and Dr. Dennis A. Leone of K-12 Business Consulting, Inc. led the focus group meetings in a discussion about the school district’s strengths and weaknesses as well as traits that would be of value in a new Superintendent. 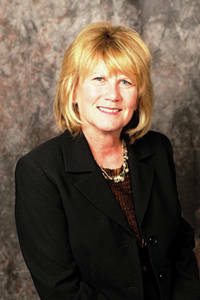 Current Superintendent Susan Gunnell announced her retirement earlier this month. “We are trying to find the right match for this district, and having these focus groups and getting the search profiles filled out will help us do that,” said Mohr. The community is asked to visit the district’s website where they can download the Superintendent Profile Questionnaire Deadline and return it to the the search company. Under the timeline posted on the Huber Heights City Schools website, the search profiles are expected to go to the board of education on December 6. The position will be announced statewide on December 14 with applications being accepted through January 25. First round interviews will occur the first week of February followed by a second round of interviews with finalists. A hire would be made next spring with the new Superintendent in place by August 1, 2019. K-12 Business Consulting, Inc. is a recruitment source for school superintendents and treasurers all over the state. According to their website, recent superintendent searches have included Troy, Valley View, Bellbrook-Sugarcreek, Pickerington, Lakota Schools, and Springboro.